What just happened? You can explain what happened in the recent past with the construction venir de + infinitive, the French equivalent of "to have just done." To use le passé récent, conjugate venir in the present tense according to the subject, then follow it with the preposition de and the infinitive of the action verb. 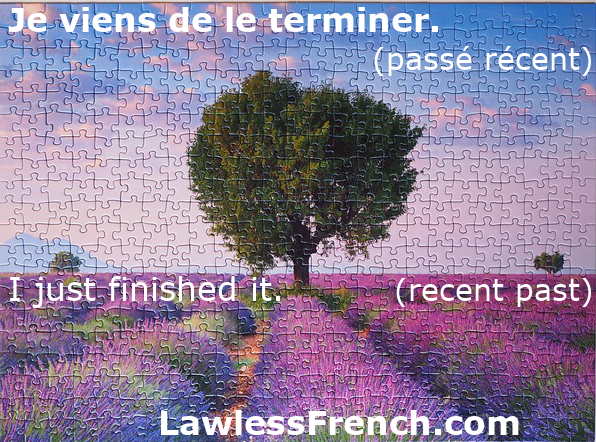 Remember that de must contract when it’s followed by a verb starting with a vowel or mute h.
Je viens de terminer ce puzzle. I just finished this puzzle. Martin vient de se réveiller. Martin just woke up. Nous venons d’arriver. We just arrived. Venir de can also be used in the imperfect to say "had just done" something, when something else happened. 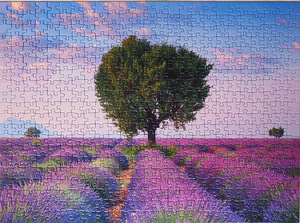 Je venais de terminer ce puzzle quand…. I’d just finished this puzzle when…. Nous venions d’arriver quand…. We’d just arrived when…. No. As the lesson says, the imperfect puts it farther in the past. Je viens d’arriver – I just arrived. Je venais d’arriver – I had just arrived.